Ad Exchanger: Post-GDPR, How Many Will Really Opt Out Of Personal Targeting? Today’s column is written by Duncan Arthur, managing director atilluma. You’d be forgiven for thinking we’re reliving the Y2K bug all over again. 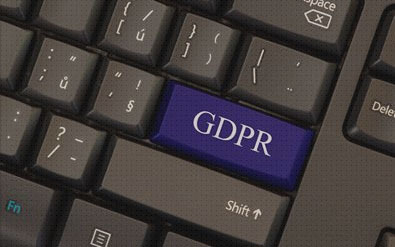 Though there were reports of drops in bidding for inventory lacking consent, the General Data Protection Regulation (GDPR) ad apocalypse seems broadly to have been averted. Longer term, will all the claims that programmatic would crumbleunder GDPR look even more exaggerated? By now, we’re all aware that GDPR is all about putting consumers in control of who does what with their data. But do current consent mechanisms go far enough? Privacy campaigners objected to Facebook and Google’s responses on the first day of the new law, and EU regulators are looking into at least 24 cross-border complaints. If stricter opt-in dialogues make mass opt-outs more likely, how might that affect the functioning of user ID or third-party data? Ultimately, we now live in an opt-in world, but the dust has yet to fully settle. When it does, the public’s love or hate of targeting may yet play a bigger role in ad tech’s future. Anecdotally, I’ve heard the opt-in rates for GDPR-related emails were only about 10%. Given that this number excluded all non-opens, it’s probably not a fair benchmark for display. A broad range of research into customer opinion on targeting suggests that given free, informed choice, anywhere between 50% and 90% of users opting out would be possible. In a March YouGov study, as many as 55% of Britons said personalized ads “creep them out.” At the other extreme, about a third (36%) said they are open to personal targeting, are likely to engage with it and effectively agree that it’s useful. Interesting to compare this with Marketo’s numbers, which suggest only 42% of Europeans trust companies to use their personal information responsibly, presumably leaving 58% who don’t. Meanwhile, UK regulator Ofcom found four in 10 internet users are unhappy with companies collecting and using their personal information. Around one-third of the same respondents don’t object to behavioral targeting if they could opt out at any point, if the company is clear about how their data will be used and if it won’t be shared with other companies. Essentially, these three caveats mirror user choice at the heart of GDPR. The research suggests that the old assumption that personal data in exchange for personalization is a fair deal seems to be open to question. And a study from Janrainsuggests this may apply just as much to US users too. Chiming with YouGov, 53% say they are against sites or apps using their data to serve relevant ads. Around 70% of those polled added they would be in favour of a US version of GDPR. Of course, general sentiment toward data use may not translate exactly to action. But what about running a specific test in the wild? While it’s by no means a final word, for now these are probably the best indicators we have as to the number of consumers – about 20% – who might actively opt in to personal targeting under GDPR. Some have called our current situation the “start of programmatic advertising using non-personal data.” For the time being that still seems like a big exaggeration. But with some of the uncertainty and upheavals on May 25, would you bet the farm against there being more to follow?